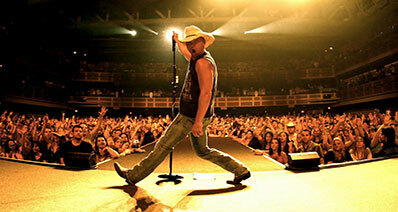 Would you like to move music from iPhone to iTunes? There are a couple of different methods that you can try. One is, of course, the traditional method of simply using the iTunes software. The other, less common - but arguably superior option, is to move music with a music transfer app. Keep reading till the end to learn why the third-party transfer app iMusic is out most recommended software for moving songs from an iPhone to your iTunes library! Only Apple Music can be transferred from your device to your iTunes library. That means, everything sourced elsewhere will not be transferred (and could potentially be deleted via the automatic sync feature). And finally, there is no manual transfer feature available for iPhone to iTunes. If it is your first time using this particular phone with your PC, you’re going to need to Sync it first. This won’t necessarily move everything, it will just give iTunes permission to access your data for the future. Once you have turned on the “Sync Music” option you need to click the “Apply” button in order to make sure that your change in settings is actually applied. After this, you’ll have to re-sync your device. Just remember though, this will only allow you to move Apple Music that is not already on your iTunes library. If it is not Apple Music, iTunes will prompt you to delete it before allowing you to sync your device and iTunes library. Now, if you don’t want to have to delete your files just to be able to use the Sync option, the best thing that you can do is just to use a different program altogether. For this, we recommend iMusic. This was the data transfer app that we had introduced in the very beginning. 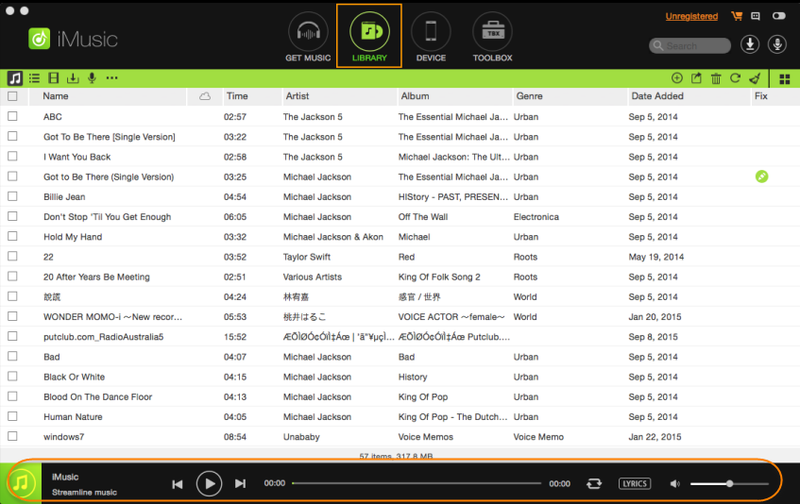 This data transfer software, unlike iTunes, was made specifically for transferring songs. As such, it won’t pose the same limitations posed by iTunes. Basically, you get a relatively stress-free procedure that you could never have experienced with iTunes. 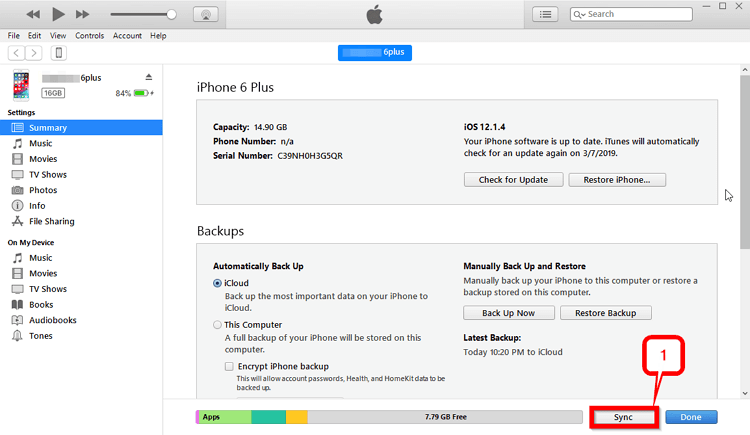 Move music/videos from iPhone to iTunes without Data Lossing. No Limit when it comes to moving music from iPhone to iTunes. Quick and Efficient iTunes to iPhone sync. Availability of device to device music transfer. Full back up capabilities with data recovery tools. Duplication prevention system for saving space. 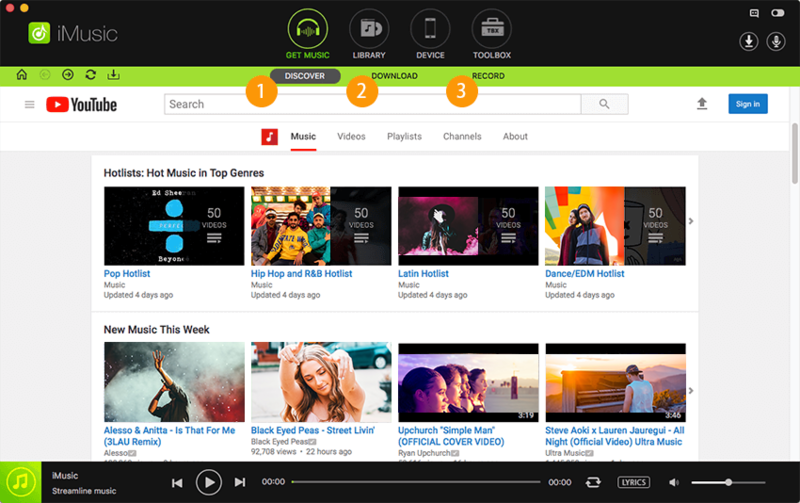 When you first launch the iMusic software (which you can either purchase or try out on their official website), you’ll be led to the music downloader page. Feel free to use it if you want to, however, the page we want to be on is the “Device” page. Click the “Device” icon on the top toolbar in order to be moved to a page where you can view your device and the options available for your device. 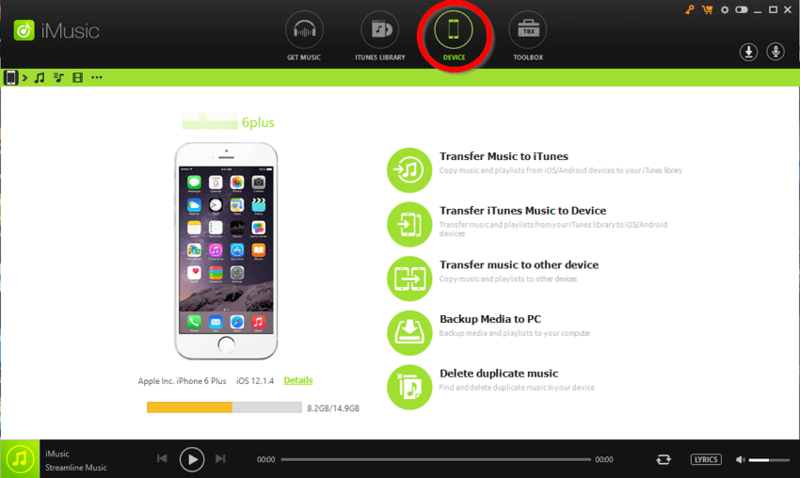 The option that we’re going to be choosing from the device page is the first one — “Transfer Music to iTunes.” This will allow you to initiate a no-limit transfer of data between your device and your iTunes library. Just wait to be moved to another window before proceeding. 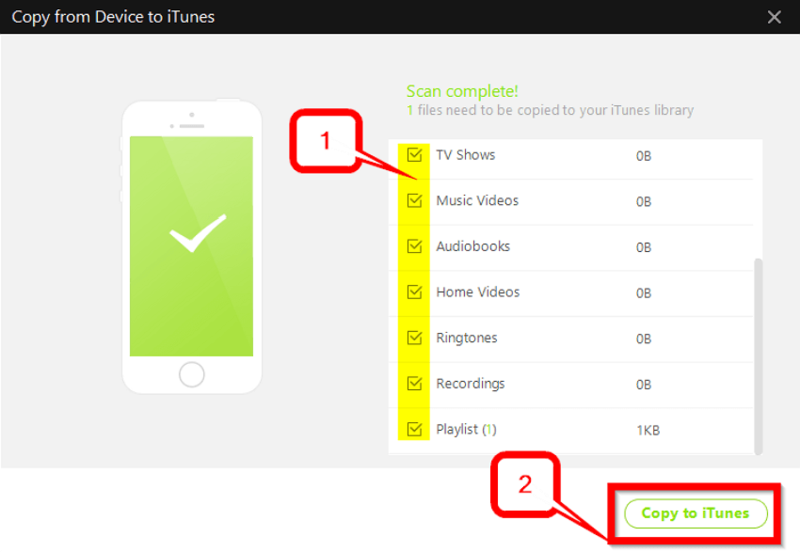 In order to prevent duplication of data (which can end up wasting a lot of space), iMusic will first have to scan your device and iTunes library — to determine which files needn’t be transferred.Initiate the automatic scan by clicking the “Start” button and wait a couple of minutes. Once the scan is complete, you’ll be able to select a list of data on your device. 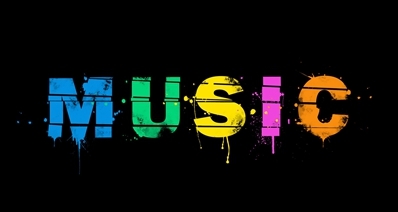 This includes Music, Videos, Recordings, Playlists, etc. Select the files that you want to transfer (and de-select the ones that you don’t.) 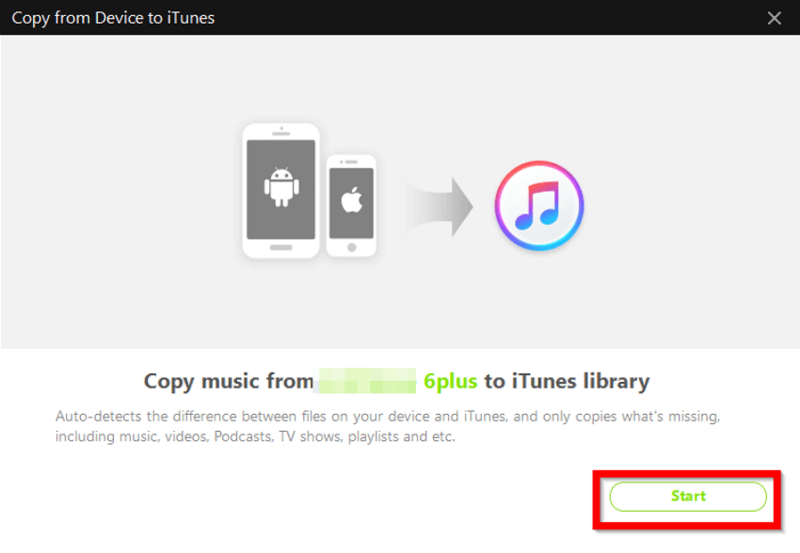 Then, click the “Copy to iTunes” version to finalize the transfer! Before we end things, let’s talk about iTunes just a bit more. For this, we’re going to tell you about six things that you might want to know — if you are looking to use iTunes as your main data transfer software. These six things will include potential limitations, solutions, etc. So, make sure to read till the end if you want to learn how to use iTunes to your advantage! 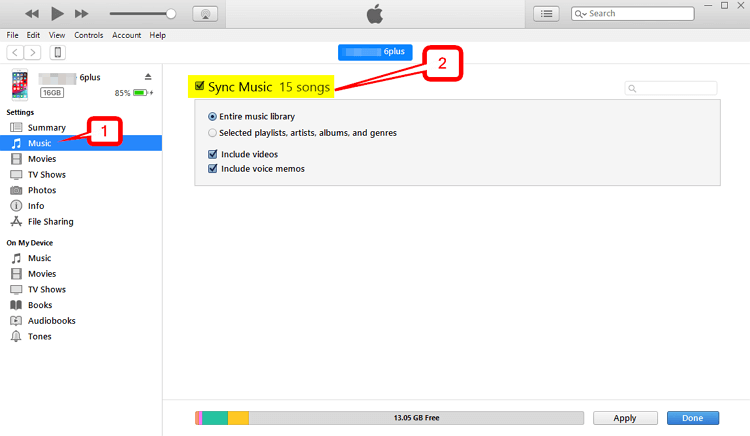 The main purpose of iTunes’ “sync” feature is to allow users to easily transfer data from their iTunes library to their device. However, it comes with a big caveat. That is, if you have existing songs on your device that is not already on your iTunes library (and is not an Apple Music purchase), then the sync will not go through. Instead, iTunes will prompt you to delete the songs on your device and replace it with only the songs on your iTunes library. There is a manual method that can help you circumvent this, but it is not as easy or convenient as the automatic sync. 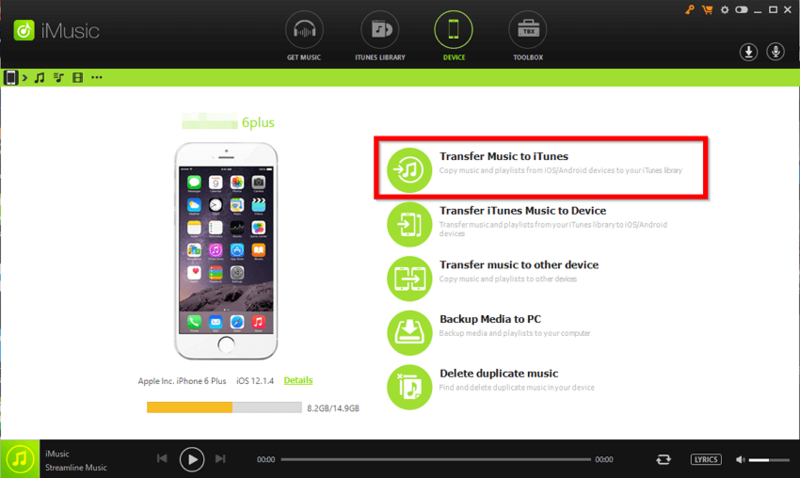 Fortunately, there is another way of transferring items from your device to your iTunes library -- the “Transfer Purchases” option. Basically, it acts as an alternative to the automatic sync feature. Use this if you want to transfer Apple Music purchases to your iTunes library without needing to delete your non-Apple Music songs. Outside of the manual method we briefly mentioned in the first fact, there are other ways of selectively transferring items from your iPhone to your iTunes library. By this we mean — you can choose to sync your Entire Library, Selected Playlists/Genres, Specific songs (using drag and drop), etc. Wi-Fi Sync’s cousin of sorts, the iCloud Sync, is another way that you can transfer data without having to actually connect your phone to a PC. However, this will require an Apple Music and iCloud account. Which might cause you money, but it is available should you ever need it. 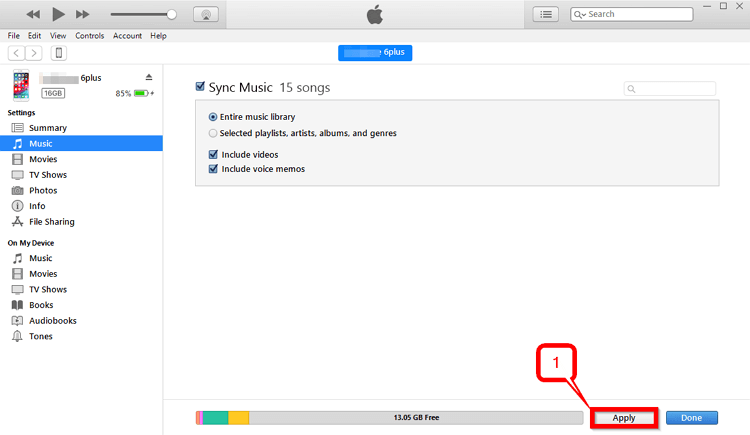 Conclusion: Thus, concludes our quick introduction to 2 Helpful Methods to Move Music from iPhone to iTunes. In the end, there exists a serious difference when it comes to iTunes and iMusic. They might be able to do some of the same things. However, the differences between the two are huge. Especially when it comes to the freedom to move music between your device to your iTunes library. For that, there’s no arguing that iMusic is the superior method. You won’t have to worry about any restrictions and can relatively go through the process without any stress whatsoever!